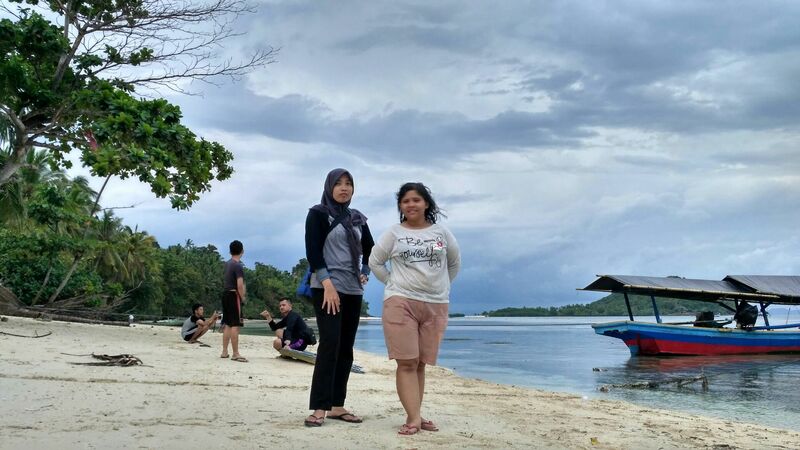 After we did snorkeling activity. 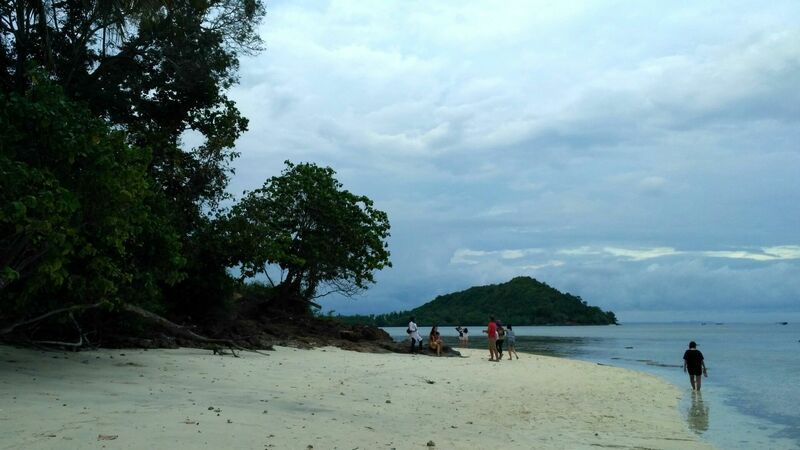 We arrive on Pahawang Island, some people went to homestay to take a rest. But we continued to playing on sea water until afternoon. 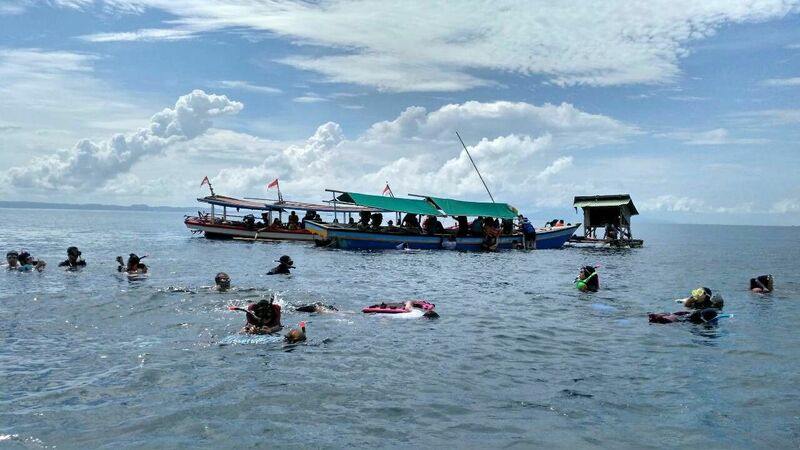 In the afternoon, we all of people that join in this open trip go to Pulau Pahawang Kecil, Little Pahawang Island. There is special thing on Little Pahawang Island, what is that? 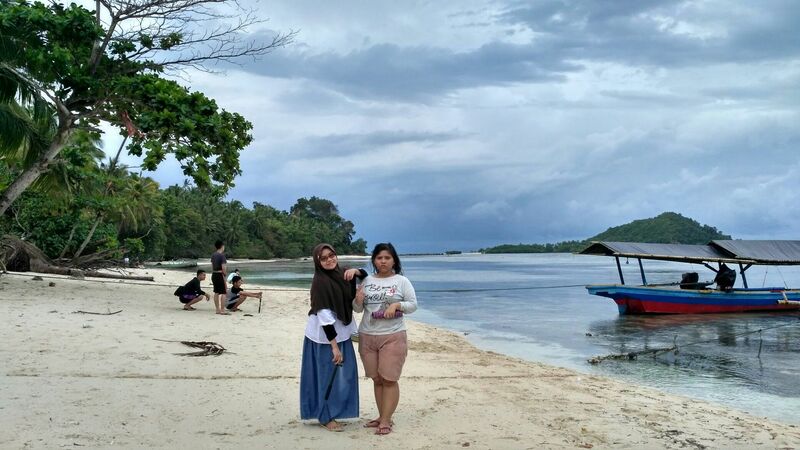 It is Pasir Timbul, in English we can call it popped Up and island or just sand island. 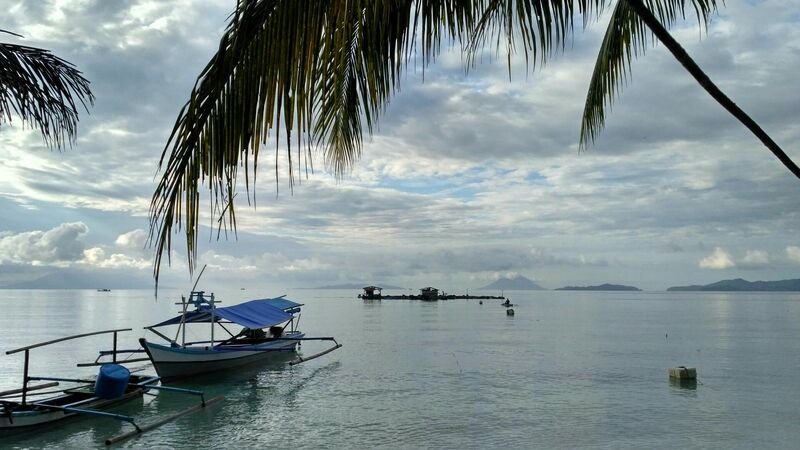 When it is on clear weather and sea water calmly, we can see it and we can capture some interesting photos.But when we were on the island, the weather was cloudy and drizzle. We could not see it because, the sea water and the weather did not support us. 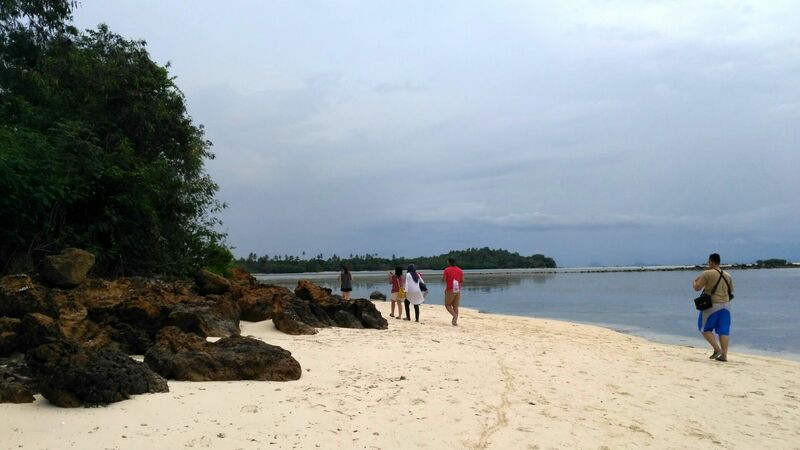 But it is okay, white sand and beautiful scenery is a big present for us. 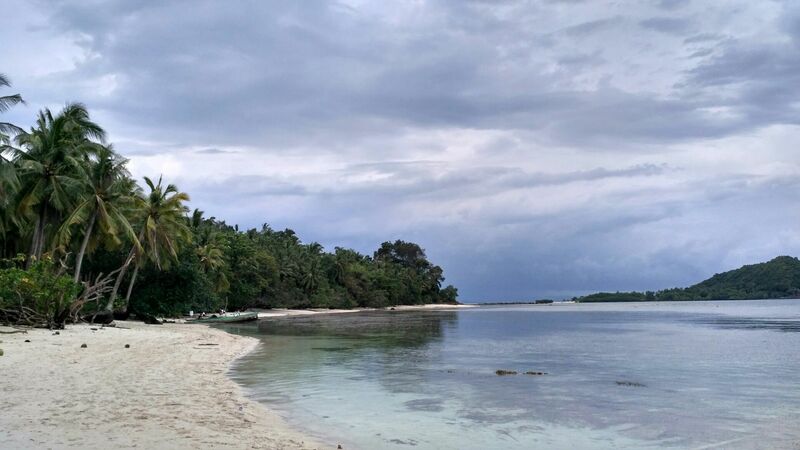 We hope we can take much time on this island, but rain came so fast we might to go to our homestay soon.